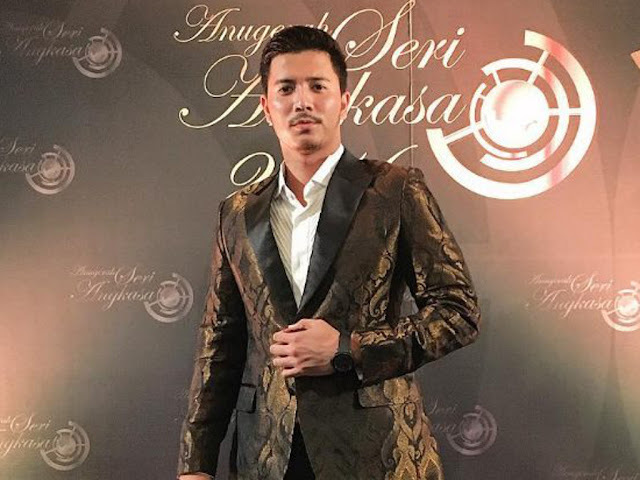 Actor Fattah Amin is set to deliver his first ever feature film called "KL Special Force" which is directed by Syafiq Yusof. Following that, the actor who is synonymous with playing the romantic male lead will be taking on an action role in the upcoming film. "Actually, from the very beginning I've always wanted to play an action role. I really am interested in that." "Even at the cinema I would choose to watch an action movie. That's why when I got the chance for this, I grabbed it," he was quoted as saying in Utusan Online. Added the 27-year-old actor, in order for him to take on and prepare for the role, he was willing to pass on several other offers for two whole months. Considering Fattah would be starring in a law enforcement film, he had met up with the police force to gain knowledge that he can apply for his role including going to the gym to work out and take up martial arts classes.